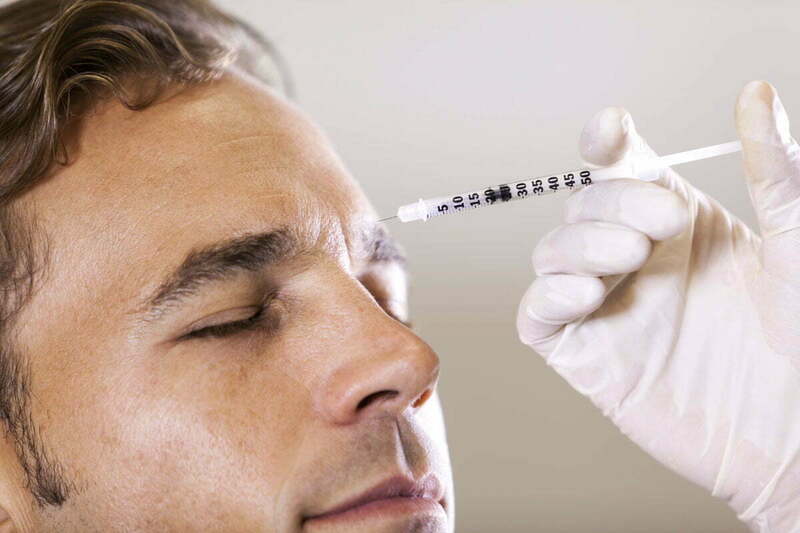 Did you know that 1 in 10 Botox injections are performed on men? It’s true—according to the American Society for Aesthetic Plastic Surgery, male patients accounted for over 160,000 treatments in 2017, making Botox-type injectables the top cosmetic procedure for men by far. There’s a reason “Brotox” keeps gaining popularity—it’s fast-acting, results last months without surgery or downtime, and expertly performed male Botox injections can help a man look refreshed without anyone noticing that he had “work done.” What’s more, the rejuvenating effects often have an extra pay off, boosting self-confidence and providing a youthful edge that can increase odds of success in social and professional situations. The benefits of Botox for men are clear—so what do you need to consider before trying this popular treatment for yourself? Here’s what you should know. Is Botox for men different than women? Yes and no. The medication works the same for everyone. However, men require a specialized approach and a very experienced hand to ensure optimal results. Your provider must understand how male facial anatomy impacts the amount of Botox needed for a satisfactory result without over-correcting, as most men favor subtle rejuvenation over a completely smooth appearance. For best Botox results, look for an MD provider with considerable knowledge of facial anatomy and experience in male aesthetic procedures. As a board certified plastic surgeon, I believe all my patients deserve the highest level of expertise and so personally perform our cosmetic injections. Having studied the differences in male and female facial anatomy and performed facial surgery hundreds of times helps me “see” beneath the skin and inject with optimal precision and finesse to achieve subtle, symmetrical results. Botox injections typically take 15 minutes to perform. That’s not just doable on your lunch break, it’s something you can do and still have time to eat lunch! We use a very thin, short needle to inject, so no anesthesia is needed. Icing the area just before treatment is enough for most men to find treatment very tolerable. You’ll be able to go right back to your day, with the only restriction being you should not exercise (or engage in intense physical activities) until the following day. The anti-aging effects of Botox usually become noticeable about 48 hours after treatment, with full results within 8 to 10 days. Botox works by relaxing specific facial muscles where it’s injected. This prevents habitual contractions such as frowning or squinting, and also lessens the magnitude of facial expressions to keep lines around the eyes and forehead from looking as obvious when you smile or talk. Because men naturally have thicker skin and stronger facial muscles, they often need more Botox to achieve the desired effect compared to female patients. However, this is not a hard and fast rule, and your provider can tell you how much Botox you might need based on your unique anatomy and goals. While I don’t recommend getting a procedure just for the heck of it, there’s something to the concept of preventative Botox. Starting treatment when crow’s feet, “elevens,” brow furrows, etc. first begin to bother you can keep these wrinkles from becoming permanent, deep creases—and potentially help you avoid brow lift surgery to correct a heavily furrowed brow in the future. Did you know that Botox is also FDA approved to reduce excessive sweating in the armpits and can also help with sweaty palms? If you’re self-conscious about either of these issues, just one treatment session can help you stay dry and confident for about 6 months. As always, choose a provider who has specific experience performing Botox for sweat reduction. Considering Botox for men in Eugene? Contact us. I am proud to count many men among our loyal Botox patients at Movassaghi Plastic Surgery over the last 15+ years. If you are considering Botox for the first time or simply looking for a new provider in the area, I welcome you to contact my office to schedule a personal consultation with me to discuss your concerns and goals for your appearance.